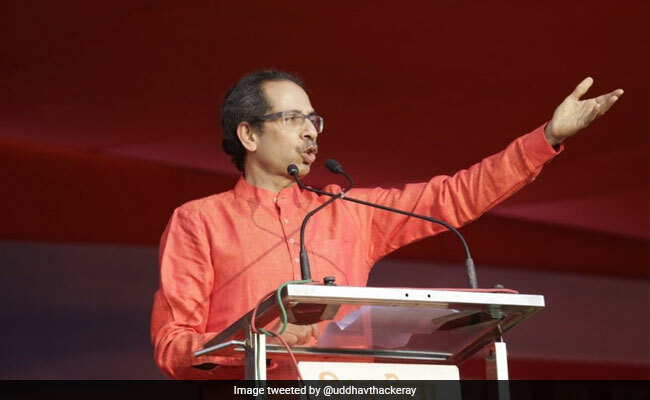 The Shiv Sena on Monday mocked the BJP’s claim that it would win 43 out of the total 48 Lok Sabha seats in Maharashtra in the upcoming general polls, calling it “far-fetched” and “bereft of reality”. The Shiv Sena, in an editorial in party mouthpiece ”Saamana” on Monday, claimed that several issues were plaguing the state at present. “The BJP-led government tried to crush the agitation of farmers” daughters in Ahmednagar. There are no good returns for onion growers and milk producers. Teachers are agitating over their demand for filling 24,000 vacant posts in government-run schools, while over 1,000 children have died in state-run shelter homes in last four years,” it claimed. “Politics is given more importance than people’s issues. The way dew sometimes turns into frost because of cold conditions, the minds of rulers have also frozen,” it said. “But, such a situation has not been created by us. The BJP has sown the seeds of such a sin,” the editorial said. “If the BJP has electronic voting machines (EVMs) and over-confidence on its side, it can win all 48 seats in Maharashtra,” the Marathi daily taunted. “The BJP’s lotus can bloom even in London and the US, but it should tell why Ram temple has not been constructed so far,” it said.